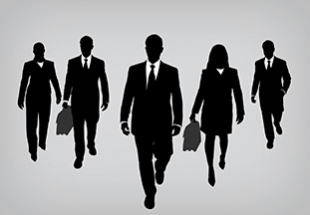 Should law firms hire salespeople? “It’s time to stop pretending lawyers are salespeople,” says Jim Bliwas in a provocative piece about law firm business development. The author explains that people adept at practicing law are often terrible at selling, because the two pursuits require very different skills. He argues that rather than trying to turn lawyers into rainmakers, many law firms would have better success building a proper sales team. All that said, there’s one massively important point that Mr. Bliwas does not discuss: you can’t just add a superstar salesperson to the old mix and expect them to actually sell anything. Why? Because there would be nothing to “sell” at most traditional, “rainmaker-driven” law firms. Let me explain. I am a respected member of the business community. I have successfully represented people whom you know and respect. I have many years of experience serving companies like yours. I went to an Ivy League school, just like you did. I’m a personable guy with whom you’ll enjoy spending time. We’ll work well together. And together, we’ll solve your problems. This is an age-old approach that has made lots of Harvard Law grads rich. However, it’s not scalable. You can’t expect a hired-gun salesperson to make a highly personal sale on behalf of another person. It just won’t work. As long as your firm’s approach to sales is largely personality-driven, a hired salesperson will fail to make any sales (or they will effectively become sales assistants to your rainmakers). For salespeople to succeed, a firm needs to transition from a “rainmaker” sales model to a “product” sales model. The first step is to select a clearly defined market niche that's an apt target for each of your key services. A laser-like focus on a niche allows you to craft a crystal-clear marketing message that (if done well) should effectively eliminate most of the competition. The difficulty with positioning is that it also means that you need to decide which segments of the market you are not targeting. This is a big step for many firms – especially older regional firms that have a long tradition of being all things to all people. Once you’ve selected a market niche, you can declare yourself to be one of the world’s leading firms serving that niche. However, before you can do this, you need to create a strategy for credibly substantiating such a claim. Proprietary data: One way to distinguish your firm is to perform original research that has yielded valuable, actionable data that clients want. Perhaps you’ve researched the probability of various legal outcomes – depending on several variables – in all 50 states. Or perhaps you’ve created a database that demystifies a complex web of overlapping state and local laws. Proprietary methodology: Perhaps you’ve figured out a way to produce better results at a fraction of the price. Your specially trained back office in India inexpensively (and profitably) handles technically rigorous tasks that your competitors bill out at $350/hour. A complete team: You’ve assembled a team so deep, so focused, and so clearly knowledgeable – that their superiority in their niche is unassailable. In this case, you are selling access to a well-rounded team – not the talent or charisma of one or two stars. Compelling thought leadership: You’ve written a stack of articles and blog posts on the biggest issues affecting your niche. Ideally, these pieces are about issues that are just emerging as big problems for your target market. And ideally, your insight and advice are so novel and compelling as to clearly demonstrate your team’s formidable skills. Many firms have been doing at least some of these things for years. However, most firms haven’t yet pushed it far enough. In most cases, their “product offerings” are still too nebulous for a hired-gun salesperson to sell them without significant participation from the firm’s attorneys. Turning your services into “product offerings” isn’t easy. It will probably take a few years of hard work to get it right. However, it’s probably the right move for your firm – whether or not you’re considering hiring salespeople. Why? Because the traditional rainmaker “trust me” approach to sales is becoming less viable as the business landscape for legal services becomes more global. Clients are increasingly looking for specialized experts and are willing to hire firms that are located anywhere in the world – as long as those firms are able to demonstrate expertise that is not available locally. And once you’ve developed a “practice area” into a “product offering,” you’re positioned to sell your services to a much wider market. You can populate your firm’s website with your proprietary data and your stack of thought leadership – and any client visiting will immediately understand your unique value. If you doubt that “sales” and “products” are the future, I suggest that you take a closer look at Axiom – the corporate-owned non-law-firm that’s currently disrupting the legal market. They recently landed a $73 million deal to provide legal services to a large bank. I’m sure that more than a few large firms would have enjoyed landing that deal. But Axiom developed a well-positioned “product” and presumably hired salespeople to sell it. And they beat the established players out of $73 million in billings. Like most disruptive innovation, the changes I describe are mostly happening at the lower-priced end of the legal market. However, history has taught us (repeatedly) that the winds of change are unlikely to be limited to that sliver of the industry. Eventually, market forces will push practically all firms, in all tiers of the legal market, to think like Axiom. Great piece. My favorite part: “the traditional rainmaker “trust me” approach to sales is becoming less viable as the business landscape for legal services becomes more global.” Amen. Interesting points, Dion – it’s not simply “just get a salesforce”. Like other business functions that law firm have had to internalize, firms have to identify and then scale the service offerings for their clients/prospects. If they don’t, then it’s going to be low ROI – on a very high investment. Short version there are no short cuts, this has to be done properly. Good piece here. Traditional law firms can and should utilize a new business pipeline “sales” approach to generate work. It requires understanding client needs and commercial objectives, appealing to those objectives and wrapping the firm’s legal services around those objectives. 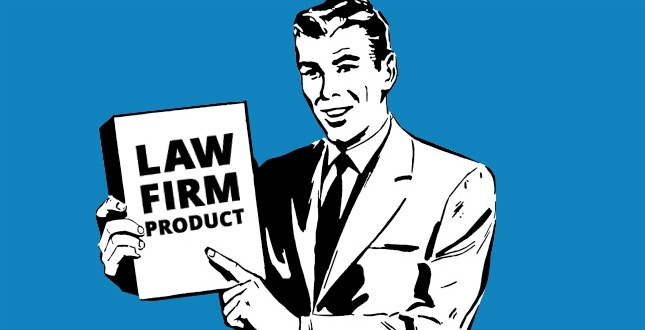 NewLaw and Legal Startups do utilize sales – bifurcating practice from sales. Traditional firms can partners sales professionals to do staff the entire sales cycle (including often selling highly complex services to clients directly) and bring in subject matter expert practitioners to help close the engagements where necessary. I always hear people working for lawyers by lessening their paperwork by doing it for them. How can I get hired by a good lawyer so I could make good money? I have been involved in sales too for years.